It’s the night before the 31 day challenge. Many of the blogs I read are full of excitement about making the decision to join at the last-minute. At about 10 pm September 30th, 2011, I decided to give the challenge a try. It was hard, on many days. Especially day 16, 20, 23, 30.
with a few words to pound out into existence. Here I am again, at 10 pm on September 30th, a year later having the same thoughts. Yet this year, I am not linking up to the big party. I feel a bit like that sunflower. There has been a lot of growing and stretching over the last months. I know I will need a lot of propping. will be a post everyday. keep doing what I do. I will keep on paying attention. blessed to be among its numbers. I am sure it will be another wild ride. Love this post. 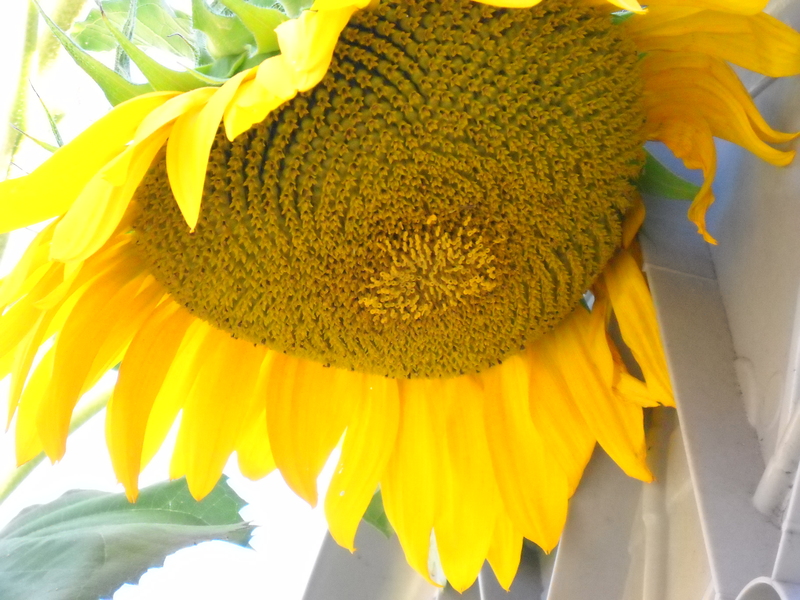 Great shot of that Sunflower. I tried the 31 days thing last year… I last for 15. I wasn’t going to do it but a friend of mine who has been trying to encourage me to write more mentioned that she was looking forward to my 31 series this year… UGH!!! So on October 1, I linked up and ended up as #1074 or something like that… Surely that won’t produce traffic for me but I gave up on trying to increase that long ago. I write because I like to. I post because I want to and ignore all those “ya gotta write your blog like this” junk. If God wants it to increase that is up to him. not me. Love your space here.